Back pain is a tricky and serious issue to deal with. Side sleepers, back sleepers and stomach sleepers alike experience different forms of pain no matter their preferred sleeping position. A few factors other than the way you sleep, like your memory foam mattress or pillow, can really affect how you feel in the morning. According to the National Institute of Neurological Disorders and Stroke, 80% of adults have pain in the lower back during their lifetime. Lower back pain typically first appears between the ages of 30-50, increasing in subsequent years. Morning back pain is often a manifestation of this trend, and can result in uncomfortable movements and pain in other areas such as the joints, hips, and neck, and joint pain. Causes of this phenomenon are numerous, but not often well-explained. 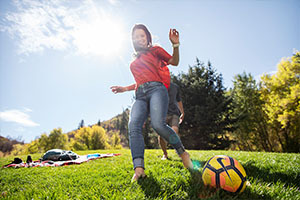 Less research has been conducted in this field as opposed to other conditions, but a new direction in the study of lower back pain guides current study and prevention. Four possible reasons you may be experiencing morning back pain include: mattress choice (a new memory foam mattress might be in your future), pillow choice, sleeping position, and inflammation. 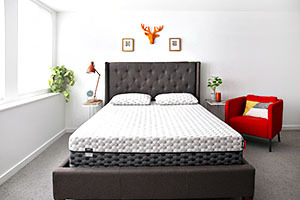 Mattress choice is a critical factor in improving your sleep and lessening back pain. 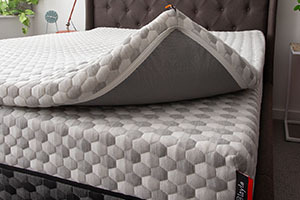 The rule of thumb is to replace your mattress every 10 years because by then it will have become so worn, it may cause unnecessary back strain. Avoid mattresses that are too soft or too firm. You need a mattress that keeps your spine aligned but allows the “hard points” such as your hips and shoulders to sink into the material. Memory foam mattresses contour to your body to give you a custom fit for your personal frame and ensure you get the support you need. 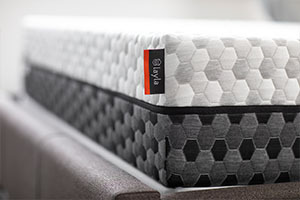 The Layla flippable memory foam mattress comes in two levels of firmness to give you the best fit you could ask for. 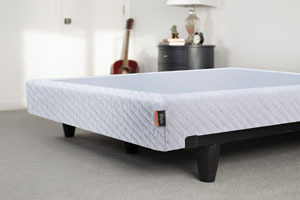 Add a memory foam mattress topper for two more levels of firmness and watch your back and joint pain become a distant memory. Your pressure points will thank you in the morning. 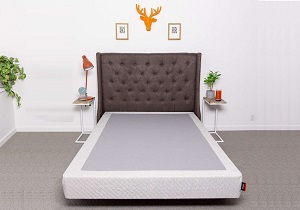 A memory foam mattress is the go-to choice for most people and our copper-infused mattress is definitely in the running for the title of best memory foam mattress. Our copper cells not only tackle the issue of heat retention head-on (a common concern when thinking about a memory foam model), but also interact in a way that creates a mixture of firmness and softness called Variable Support. With this Variable Support, your whole body will rest in luxury and sustained support, giving you a better night’s sleep. In addition to memory foam mattress choice, you may want to consider what pillow will best support your head during the night. Frilly, feathery pillows don’t provide sufficient head support to prevent pain and stiffness. Contouring cervical pillows are crafted to support your head and back for a superior night’s rest. But there is another option when looking for your best pillow: memory foam. Like our memory foam mattresses, our pillow covers are made with copper-infused memory foam and our pillows themselves are engineered with our natural Kapok fibers that will keep you cool and comfortable. They act as an extra defense in the war again back pain. For better sleeping posture, place the pillow between your legs or beneath or knees to help align the spine. Besides memory foam mattresses and pillows, keep in mind your sleeping position. While sleeping on your back and being a side sleeper is perfectly acceptable, sleeping face down has proven to be worse for the back and the neck. You may find this position to be helpful in reducing snoring, but experts suggest the benefits are not worth the added stress, which can lead to joint pain. When possible, adjust your position on your memory foam mattress by facing upwards to increase support for your lower back and neck. If you find it difficult to sleep on your back or find you snore more that way, try sleeping on your side. Serving as a middle-ground between the two extremes, being a side sleeper will help you snore less and prevent much of the back trouble associated with sleeping on your stomach. All of the above reasons for waking up with back pain are minor in nature. Inflammation can prove a more serious culprit when you’re experiencing back pain in bed. Usually arising from an injury, inflammation is a swelling in a particular part of the body, resulting in joint pain and stiffness. If you’re experiencing chronic inflammation, consult your doctor to discover if there’s an underlying condition, such as fibromyalgia, that may be the cause of your back pain. In any case, always be aware of your body’s needs. 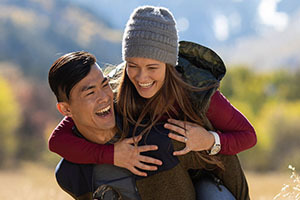 Small changes such as exercising more, adjusting your posture, or simply swapping to a memory foam mattress can provide the added comfort your body requires to feel strong and supported. That way, you’ll be waking up in the morning pain-free. Sometimes, switching to a memory foam mattress could be the difference between your best days and your worst. Start your day feeling refreshed and pain-free by making slight adjustments to your bedtime routine or memory foam mattress. Check out Layla Sleep if you want to start making positive changes in your life! After all, the best days follow the best night’s sleep.